The question of concept and maintenance of realization of judicial examination is considered in the field of intellectual property during pre-trial investigation. The order of realization of judicial examination is described in the field of intellectual property. The basic types of over judicial examinations are brought in the field of intellectual property. The task of judicial expert is outlined at investigational objects of intellectual property. Basic circumstances are certain that, set by judicial examinations in the field of intellectual property that subject to proving in criminal realizations. 2. Finansovo-ekonomichnyj slovnyk. A. G. Zagorodnij. G. L.Voznjuk. 3-te vyd. dop. i pererob. [Financial and economic dictionary]. Lviv. Vydavnyctvo Lvivskoi politehniky Publ. 2011. 844 p.
3. Osnovy sudovoi ekspertyzy. navchalnyj posibnyk dlja fahivciv. jaki majut namir otrymaty abo pidtverdyty kvalifikaciju sudovogo eksperta. avt. uklad. L. M. Golovchenko, A. I. Lozovyj, E. B. Simakova-Jefremjan ta in. [Basics of forensics]. Harkiv. Pravo Publ. 2016. 928 p.
4. Jedynyj zvit pro kryminalni pravoporushennja za 2016 r.[The only report criminal offenses for 2016]. Kyiv. GPU Publ. 40 p.
5. Ekspertyza u sudochynstvi Ukrainy nauk. prakt. posib. za zag. red. V. G. Goncharenka, I. V. Gory [Examination proceedings in Ukraine]. Kyiv. 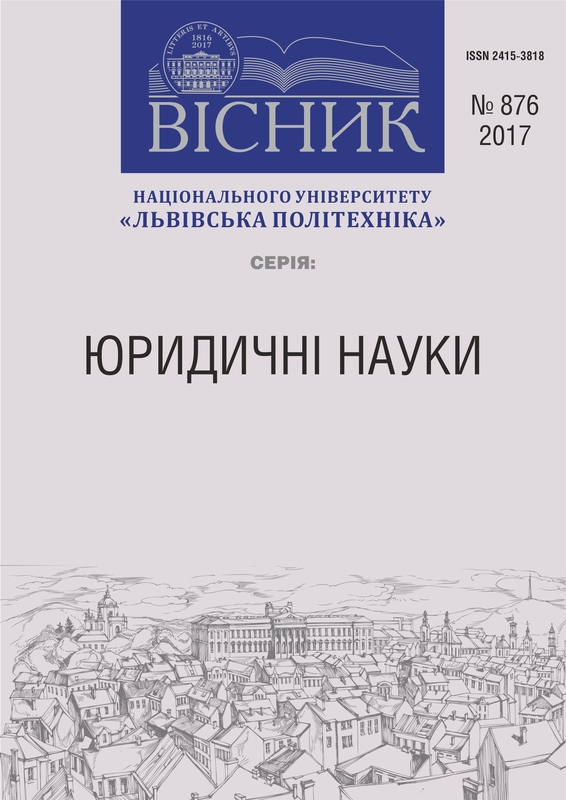 Jurinkom Inter Publ. 2015. 504 p.
/7. Lynnik N. V. Opredelenie usherba ot narushenija patenta. V. B. Shahnovskaja. pod red. G. V. Bromberga [Determination of damages from patent infringement]. Moskva. VNIIPI Publ. 1994. 46 p.
8. Butnik-Siverskyj O. B. Teoretychni peredumovy vyznachennja rozmiru zbytkiv vid porushennja majnovyh prav intelektualnoi vlasnosti [Theoretical background determine the amount of damage from the violation of intellectual property rights]. Intelektualna vlasnist Publ. 2013. Vol. 6. pp. 32–42.